I’ve loved maps ever since my geography, history, and social studies classes in grade school. I’d often draw and trace maps just for the fun of it, and I’m still fascinated by them. Which is a good thing since I depend a lot on historical maps in writing my novels. So when I discovered the David Rumsey Historical Map Collection while doing research for my American Patriot Series, I was thrilled. David Rumsey is president of Cartography Associates, a digital publishing company based in San Francisco. In addition to a whole lot of other impressive experience and involvements, he’s also chairman of Luna Imaging, which provides enterprise software for online image collections. In 1980, after making a fortune in real estate, Rumsey—who clearly is even more fascinated with maps than I am—began to collect 18th- and 19th century maps of North and South America, the era during which modern cartography began. Eventually he expanded the collection to rare 16th though 21st century maps of America, North America, South America, Europe, Asia, Africa, Pacific, Arctic, Antarctic, and the World. Then in 1995 he decided to make his collection available to the public by building the online David Rumsey Historical Map Collection. 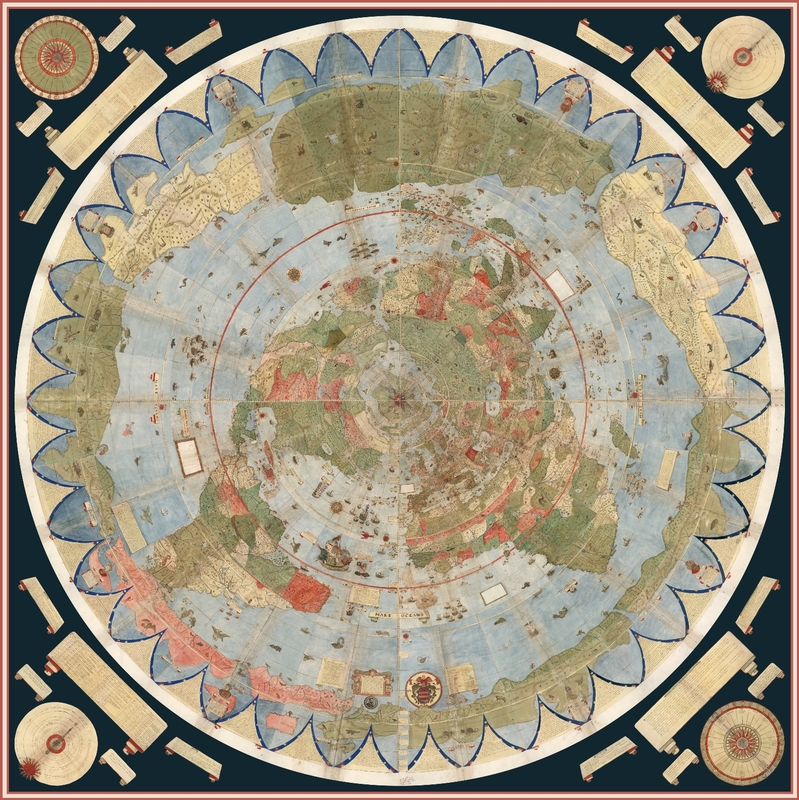 It now contains over 150,000 maps and other cartographic items and is one of the largest private map collections in the world, with maps that can be used to study history, explorations, genealogy, and art. Rumsey donated the entire collection to Stanford University in 2009; it’s been housed in the David Rumsey Map Center in the university’s main library since 2016. The website continues as a separate resource for the public. 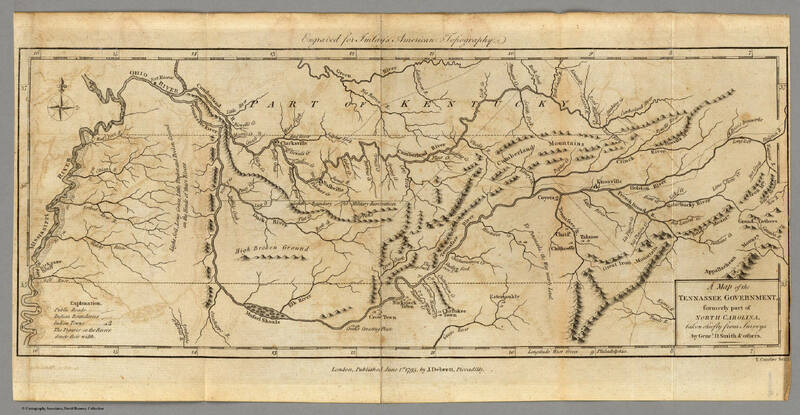 Over 82,000 maps have been digitized and made available there, along with downloadable viewers from Luna Imaging. The most popular is the LUNA browser, which enables users to view the collection, zoom into details, and create slide shows, presentations, and more without any special plug-ins or software. Users can search through about 60,000 maps with a MapRank tool, and a helpful new Georeferencer tool allows for georectification of any of the maps in the collection. The website also offers a blog that lists new additions to the collection, featured maps, news, videos, and related sites. In addition around 1,000 maps can be accessed through Google Earth layers, while selected ones are featured in the Rumsey Maps Island on the virtual world Second Life, as well as in 2D and 3D GIS. If you love maps or are doing research and need a map of just about any place and time, this amazing collection is just what you’re looking for! Are you a map lover like I am? Or do they drive you crazy—literally—when you’re trying to decipher how to get from one place to another? What about our most common navigational device, GPS systems like Google maps? Love ’em or hate ’em? Share your experiences and frustrations—I totally understand! Maps are essential to me as I have NO sense of direction at all! I haven't been able to make friends with my car's GPS system yet, though. Old maps are beautiful, I am glad that they have become easier to read now, though. Thanks for the great post! Connie, I feel your pain. I've always sworn that I'm a charter member of the See America Unintentionally Club. lol! There's just something about printed maps, and especially old ones, that can fuel an obsession! Thanks so much for stopping by! I love old maps! I've browwsed this collection a few times with my genealogy research. It is a fascinating collection! Sometimes, I go just to look around the sight. Great post! Oh, good, another map lover! I'm sure collection is wonderful for researching genealogy. I'm so glad you stopped by! What a great post Joan. 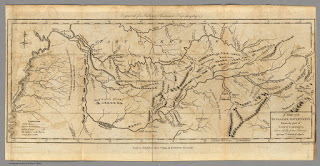 I did not know about the David Rumsey Historical Map Collection or the David Rumsey Map Center before reading your post. I looked at both sites, very interesting. You could spend hours in there. I don't have a GPS so I rely on Google Maps or MapQuest at times. However, I like hand written directions the best, much easier to follow...at least for me. Many times over the years my sister and I have gone on little "adventures" [getting lost, our sense of direction is "lost" ;-) ] when trying to find a new location. But, we always find our way home...with lots of prayer and God's direction! You really could spend hours there, Tina, and I've done it. lol! I like hand-written directions too, especially if they include some landmarks so I can make sure I'm going the right way. Thank you for stopping by and sharing! Wow! A fabulous post about maps, Joan. Thank you for sharing about David Rumsey HIstorical Map Collection. I would find myself spending hours studying the maps. I renember the fun of social studies and covering maps or creating our own for specific area. Blessings. You're so welcome, Marilyn! I had the same experience in social studies--studying maps was fun, and I loved to trace or try to draw them on my own. Thank you for stopping by!